Japan. Land of the Rising Sun. A country that for so many remains somewhat of a mystery. I really didn’t have any idea of what it would be like when I first came here back in 1994. The one thing I was sure of though was that there weren’t any samurai. Shame about that. It was hard going at first because of the language barrier, but with a few short months, I was able to have a basic conversation. Who knew?! I had always thought I was incapable of learning a language. Hard to believe that I’ve been here for more than 20 years now. I had always envisioned living in California or possibly Thailand and yet, here I am. One thing I’ve learned from all my time here is that Japan is full of surprises. It’s a mix of new and old, traditional and modern, weird and wonderful. But why am I, a time management and productivity expert, sharing my thoughts on Japan here? For people to operate at an optimum level, we need to recharge our batteries from time to time, as in a vacation. I also believe in constantly feeding our mind with new and fresh ideas. Japan does both. 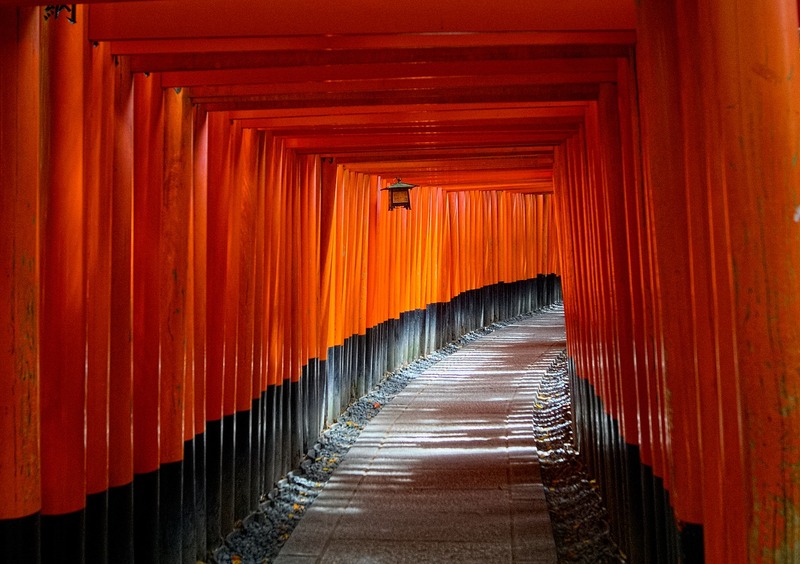 It’s likely that many of you have Japan on your bucket-list, and if not, you should. But in case you’re on the fence about it, here are 13 reasons you should visit Japan. The old capital. Quintessential Japan. Temples, shrines, Arashiyama, Kimonos, Geisha, tea ceremony. While many people make Tokyo their first stop, to me, Kyoto is the one city you absolutely must visit. There’s nothing quite like sushi in Japan. This little gem is a little island off of Kyushu. For those who are familiar with Studio Ghibli movies, then you might recognize it from Princess Mononoke. Probably one of the most beautiful places in Japan, and due to its location, away from the tourists. Definitely not to be missed. The tallest mountain in Japan, and certainly the most well-known landmark. Each summer thousands of people hike up the mountain to enjoy the scenery from the top. Stunis the word I hear most used to describe sunrise. There’s nothing quite like getting into an onsen (hot spring). Your stress just melts away. Nearly every onsen has indoor and outdoor baths, and some have various types of baths. If you’re looking to enjoy your bath with the monkeys, you’ll have to go here. There’s beef, and then there’s Japanese beef. Probably the one people are most familiar with is Kobe beef, but there’s also Matsuzaka beef, Hida beef, Awaji beef and more. Possibly the most delicious thing I have ever eaten. People travel from all over to see the Sakura (cherry blossoms) each spring. They only last a few weeks so it takes a bit of luck to see them in full bloom, but if you’re able to, it’s a lovely site, especially with some of the lovely backdrops here. Himeiji, Osaka, Hikone, Edo, Takeda and Iga-Ueno are just a few of the places where you’ll find a castle in Japan. They make perfect spots to take a few selfies, but the real joy is just soaking in history. The most loved food in Japan. Perfect on a cold winter day or when you want something fast and filling. With practically limitless varieties, it does take time finding those that suit your taste, but it’s worth it. Japan has been blessed (or cursed according to some people) with four seasons. Winter can be cold, but if you’re into snowboarding or skiing you’re in luck, Japan has some world-class ski resorts. Also, if you happen to be in Japan in February, you won’t want to miss the Sapporo Snow Festival. The closest thing to these might be an English pub, but only because they serve food and drink. Personally, I love exploring Izakayas. Their menus are extensive whether you’re in the mood for some alcohol or just dinner. There’s something for everyone – sushi, Yakitori (chicken on a stick), salads, rice dishes, and vegetables are all on the menu. Ok, so there aren’t any Samurai, but there are certainly still ninjas. Sort of. In Tokyo, there is a restaurant named, unsurprisingly, Ninja Akasaka, and if you are able to make it to Shiga Prefecture, then you could check out Koka Ninja Village. What trip to Japan would be complete without a ride on the bullet train, otherwise known as Shinkansen. Oh, one last thing, be sure to drop me a line if you make it over this way. Happy to show you around if you’re in my neck of the woods.